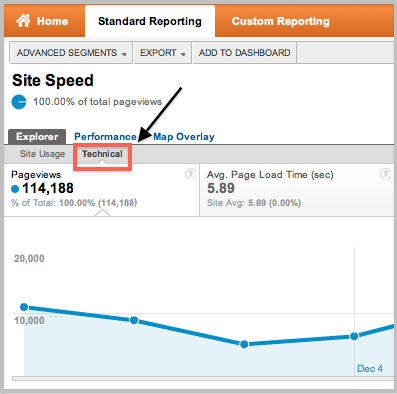 with more metrics in Google Analytics to help site owners improve performance. In the Site Speed report we’re exposing a new set of metrics available in the “Technical” section that can be found in each one of the Site Speed tabs (Explorer, Performance, and Map Overlay). What are the new metrics and what you can do with them? Avg. Redirection Time - the time spent in redirection before fetching this page. If there are no redirects, the value for this metric is expected to be 0. Avg. Domain Lookup Time - the average amount of time spent in DNS lookup for this page. Avg. Server Connection Time - the time needed for the user to connect to your server. Avg. Server Response Time - the time for your server to respond to a user request, including the network time from the user’s location to your server. Avg. Page Download Time - the time to download your page. If you notice that some of the metrics are higher than expected, review your site operations and test if changes lead to improvements. For example, if you notice that Avg. Domain Lookup Time is high, you might want to change your DNS provider. A high Server Connection Time, on the other hand, is a metric that you might not be able to reduce. High Avg. Redirection Time - analyze whether the redirects are necessary. Also check sources to see if a specific referrer is causing high redirect latency. High Avg. Domain Lookup Time - consider changing DNS provider that provides consistent and lower response times. High Avg. Server Response Time - reduce backend processing time or place a server closer to users. High Avg. Page Download Time - reduce your initial data size. Looking for additional ways to improve your site speed? 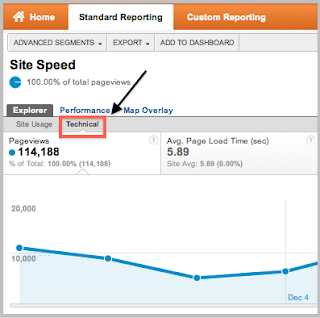 Be sure to view your site’s performance by browser type and Geo location. Your pages may need to be optimized to display faster on a specific browser or for a specific country. Visit the Map Overlay tab to gain insights by region and add “browser” as a secondary dimension to see the impact by browser. We hope you’ll gain insights into how your site performs for your users from this newly updated report and be able to use it to optimize your pages. Speed is an important part of the users experience of your website and is a key way to understand and improve your site performance. So we’re happy to extend the Site Speed report with more metrics in Google Analytics to help site owners improve performance.